While most of the bubbling waters and pools in Yellowstone National Park are much too hot for soaking, there are a few areas that welcome visitors for a warm dip. Enjoy spacious rooms and jacuzzi suite options, along with multiple indoor hot tubs and pools. LCD TVs, WiFi, breakfast buffet and airport shuttle. Next to Costco & Outback. 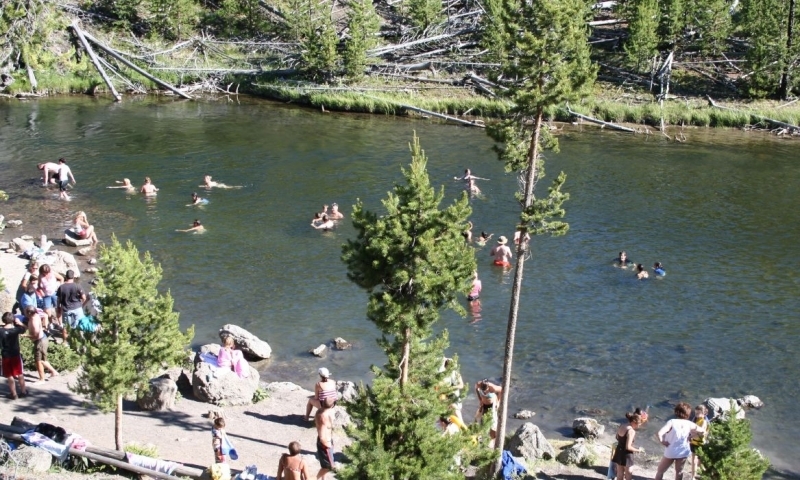 Go for a warm swim in the Firehole River near Madison Junction. Soak in the hot waters along the Boiling River near Mammoth Hot Springs. 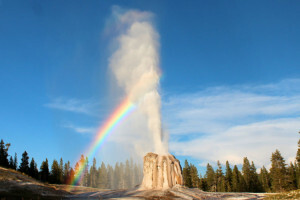 Outside of the park, visit Chico Hot Springs or Norris Hot Springs. 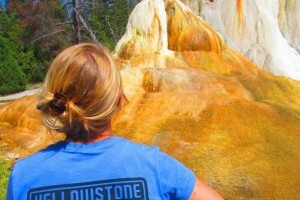 Where can I enjoy soaking in Yellowstone hot springs? 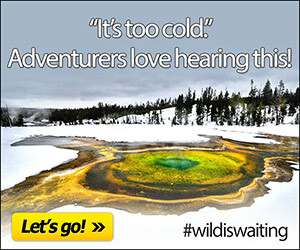 The hot springs within Yellowstone are far too hot to enjoy. Even a dip of a tow could result in serious burns. 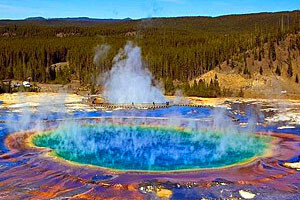 Please pay attention to signage and do not touch the scalding waters of Yellowstone. There are a few places where hot waters flow into cool rivers, making a warm area to swim and soak. Firehole River: From the Madison Junction, follow the one-way Firehole Canyon Drive to the Firehole River swimming area. You can park right along the road (although parking spaces fill up quickly in the summer) and walk down a set of stairs to the waters edge. The warm waters in this section of the river are fed by a nearby hot spring and make for a wonderful place to soak. Kids will love it too. The swimming area closes on occasion depending on water levels. Boiling River: Near Mammoth Hot Springs look for the 45th Parallel Sign. There is a parking area on the east side of the road and visitors must walk about .5 miles upstream to access the soaking area. Due to high water, the soaking are is closed from spring until mid-summer, but winter visitors are in for a treat. Outside of the park's boundaries you will find a few developed hot springs that are great for soaking. 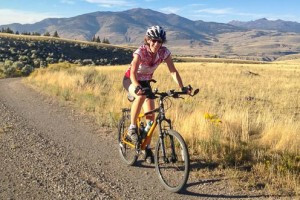 Chico Hot Springs: Located between Mammoth Hot Springs and Livingston, Chico Hot Springs is a resort, complete with hotel rooms, cabins, a find dining restaurant, and a developed hot spring pool. Day passes are available. Call (406) 333-4933 for details. Norris Hot Springs: Located southwest of Bozeman and north of Ennis, Montana, Norris Hot Springs offers an outdoor pool with a wooden bottom. Local musicians play in the music tent every weekend night. 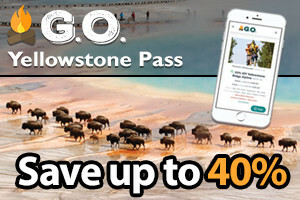 Call (406) 685-3303 for details.